I am a very beginner in Structural Designing. I got an assignment to design a retaining wall near a bank of a channel. Previously there was a retaining wall but failed due to scouring and collapsed. Natural Channel: 5m width and 3m depth from NGL to bed level. Backfill is clayey soil and 5m away from the wall there is a RCC building. 1.Whether a RCC retaining wall would be better or a RRM wall. 2. And how to assume a Scouring depth for this case (as fund is a constraint here so piling is not prefered). 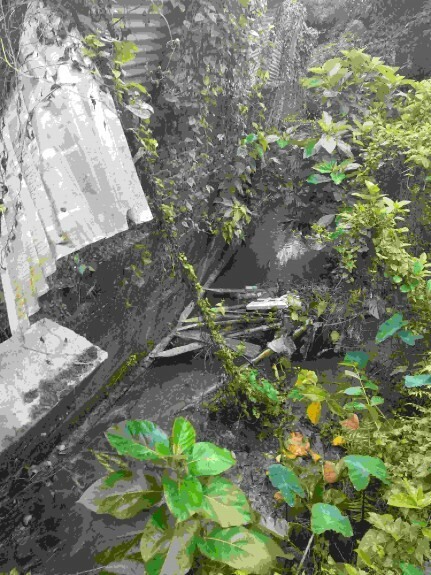 I have attached a picture of the collapsed wall below.